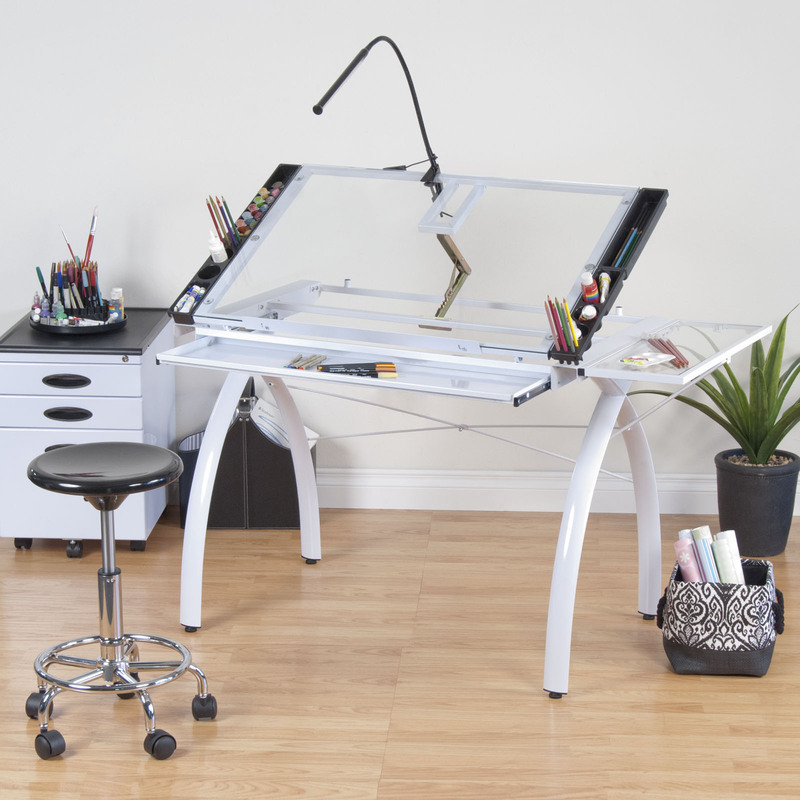 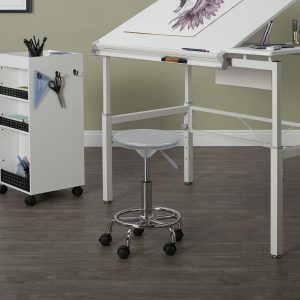 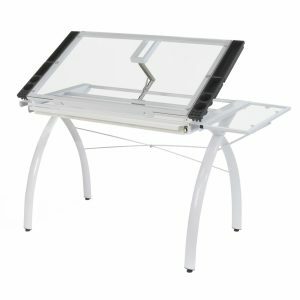 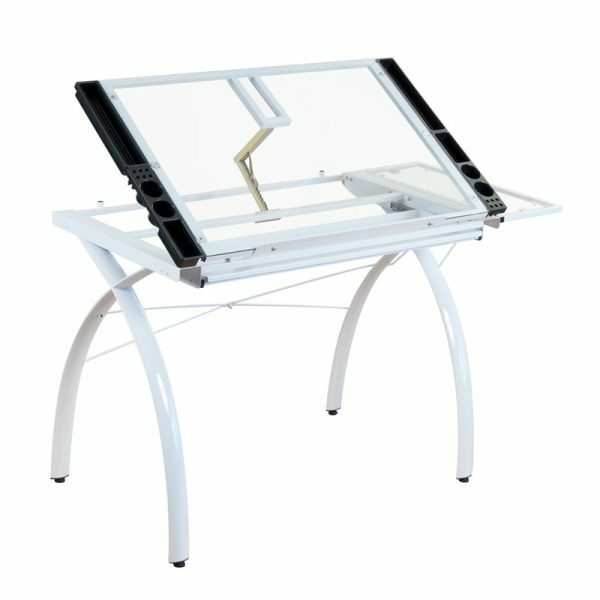 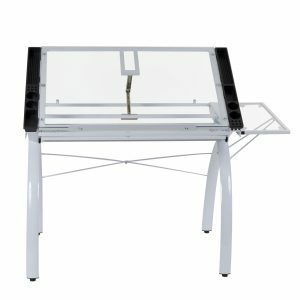 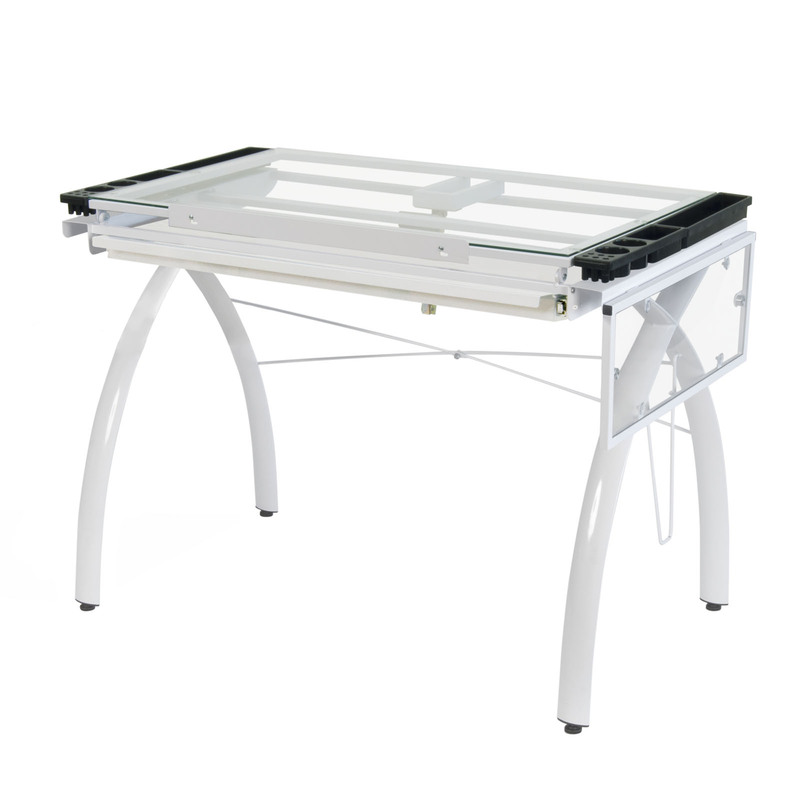 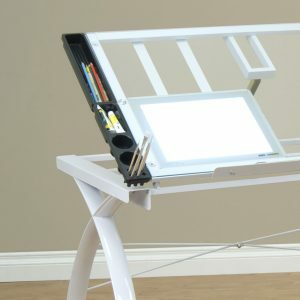 The Futura Craft Station with Folding Shelf is perfect for drafting, drawing, or crafting on its 35.5"W x 23.75"D tempered safety-glass top. 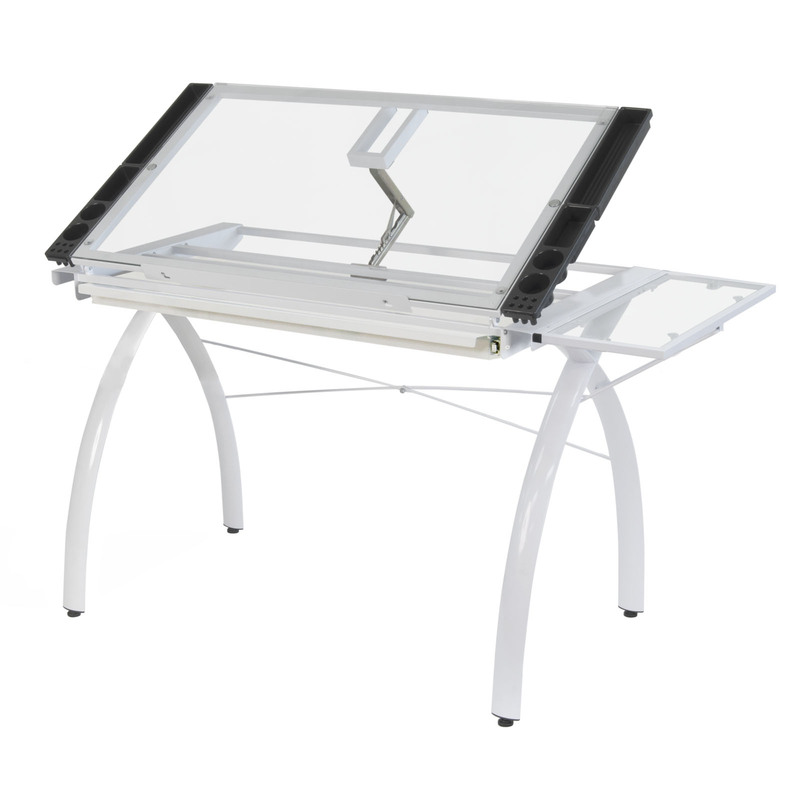 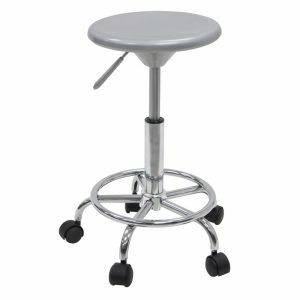 It also includes a 9.5" x 23.75" flip up side shelf for an additional flat work space. 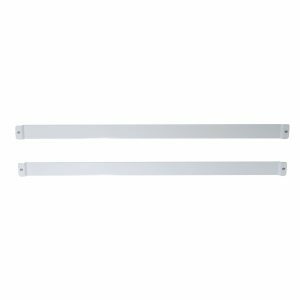 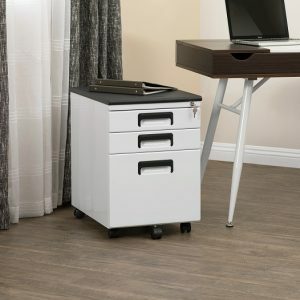 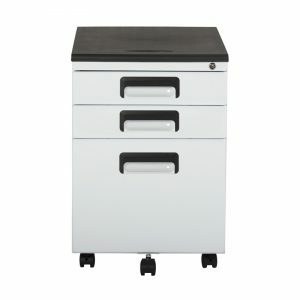 Other features include a large pencil drawer, and four removable side trays for supplies.